Single Hole Meter Socket Compression Lugs are for Use with Meter Pans as well as General Utility Applications. 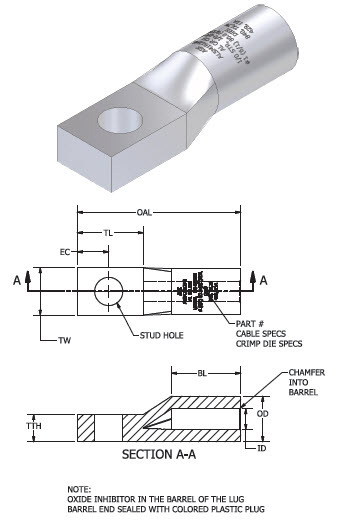 Single Hole Lugs allow for maneuverability and rotation in tight clearance applications. Standard Barrel Single Stud Hole Lugs allow for maneuverability and optimal compression.